I'd Just Like to Thank..
My first thank you goes to Sara at Tangled Happy for been so kind as to mention my Garden Curtain Ties on her fantastic blog. I'm so very pleased to be chosen to be featured as I have found many beautiful and wonderful project ideas from her blog and feel quite honoured to be in such company! I've had a lovely response from Tangled Happy readers, so I'd also like to take this opportunity to welcome my new followers and mention how much I've enjoyed reading all your kind and generous comments. It's a wonderful heart swelling thing to receive a compliment on something you have thought of or worked hard on and I do appreciate you all, new or otherwise, taking the time to spread such joy my way. I hope you'll enjoy reading more in future, I'll certainly look forward to hearing from you too. 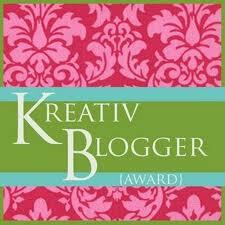 My next thank you is the result of something that came as quite a surprise to me, as I have received the Kreativ Blogger Award from Jaquie at Bunny Mummy! Thank you so much Jaquie. Now, being one of those sorts of people, I did wonder a little about how this award came about. What I discovered, from the admittedly little research I did, was that the award was originally created by a Norwegian blogger called Hulda in 2008. I couldn't make out much of the Norwegian, even with the help of a translating website, but apparently the original award design was made from fabric and looked like this. The numbers of 'interesting things', 'nominations' and 'links' seems to have morphed from 7 to 10 but otherwise, things seem to be unchanged. My favourite song is 'Life on Mars' by David Bowie. I have lived in a four houses and one bungalow. I didn't like tomatoes until I was 35. I didn't like cheese until I was 36. My favourite thing to re-watch is the '95 BBC version of Pride and Prejudice. I love roses but can't stand rose bushes since I fell in a bed of them at age 11. I'd be obsessively tidy if I wasn't so incredibly lazy. I still have to build a sandcastle whenever I go to the beach. I got my first grey hair at 18. 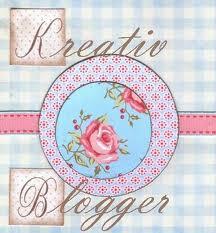 They are all fantastic blogs which I love and I hope you do too. I also apologise if I've double nominated someone, I tried to take a look to see but I'm not certain! 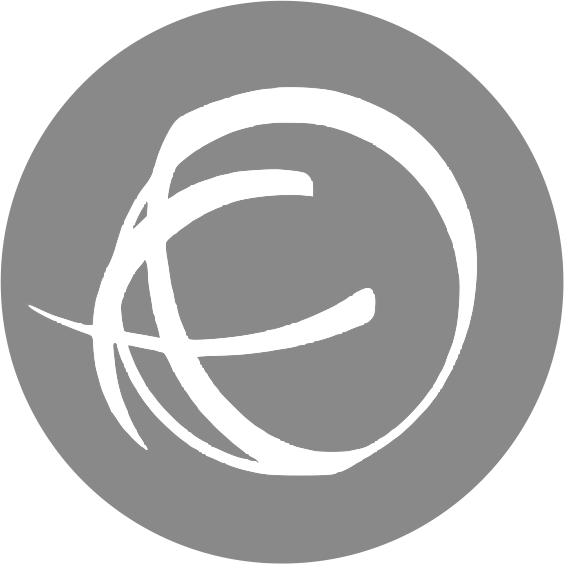 I was going to share something of the projects I've been working on lately but you know, it took me so long to think of my Ten (Possibly) Interesting Things, that I'm worn to a frazzle now! Sharing will have to wait for a new day and a fresher, rejuvenated me I'm afraid. It will be soon though, for I have much I would tell you! I found you thru Tangle Happy and I loved those curtain ties. 36 years without cheese and tomato sandwiches? I hope you now realise what you'd been missing! Awww... Thanks so much for including Tangled Happy in you nominees! Loved reading you 10 things. I think we share number 8. Oh and I love your new pillow. Gorgeous!